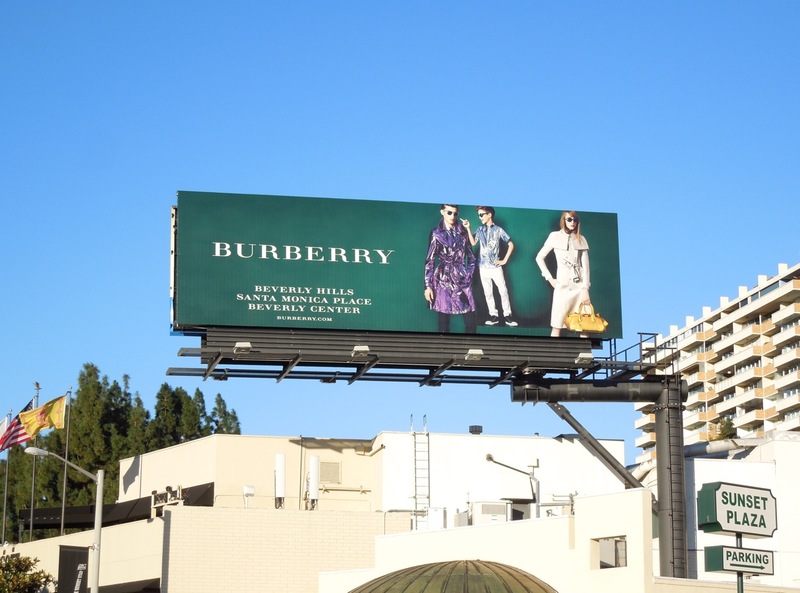 Well it appears like father like son, as Romeo Beckham makes his fashion debut in Burberry's Spring/Summer 2013 ad campaign. 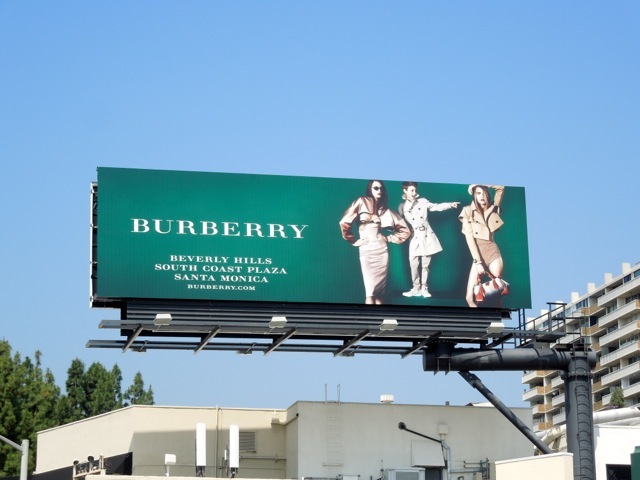 The 10-year-old middle son of David and Victoria Beckham steals the spotlight in this already colourful billboard for the British luxury brand. 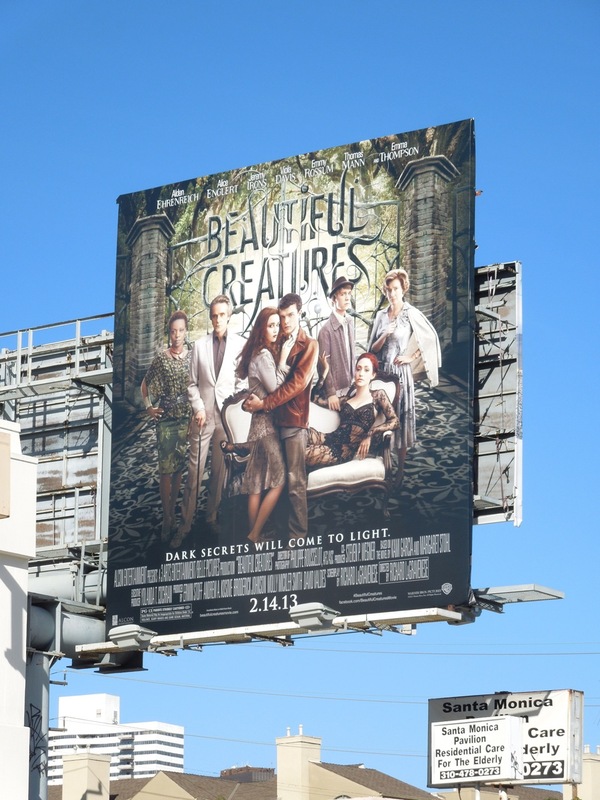 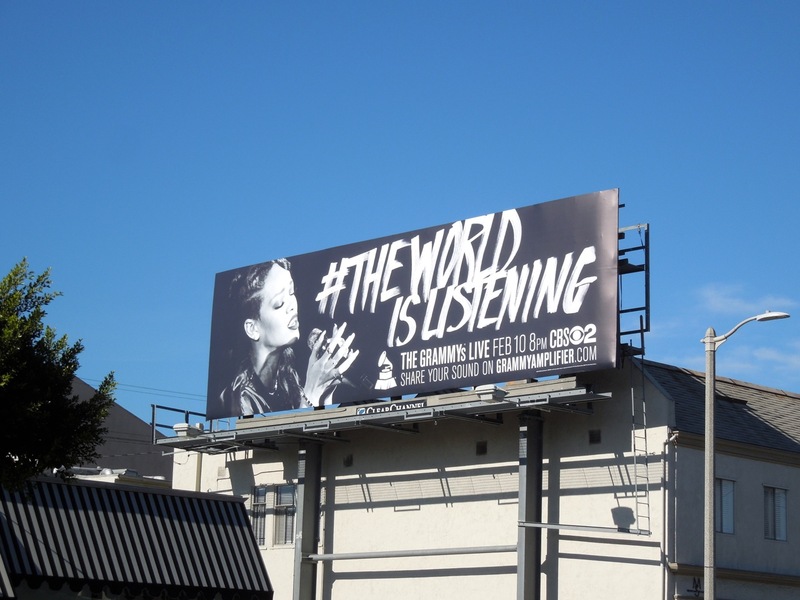 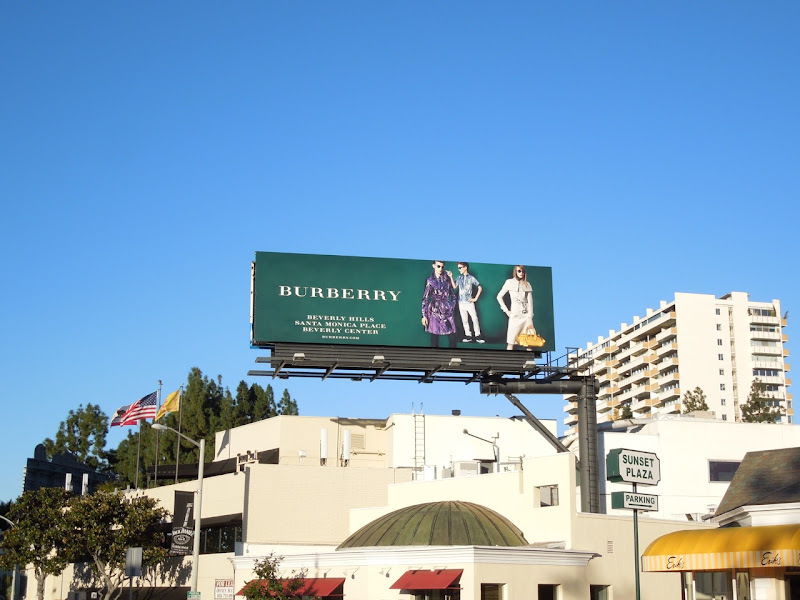 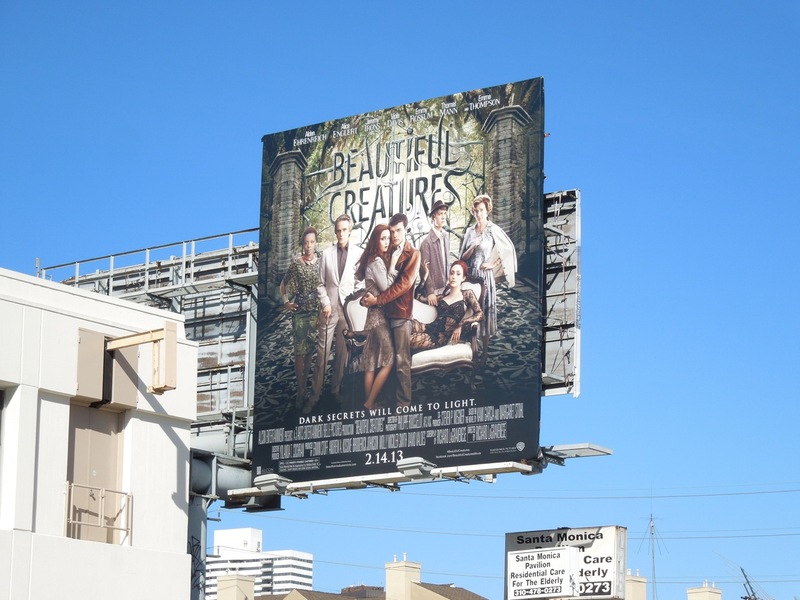 This bright fashion billboard is a breath of fresh air for the New Year, especially following Burberry's mono Fall/Winter campaign, and was spied along L.A.'s Sunset Plaza on January 14, 2013. 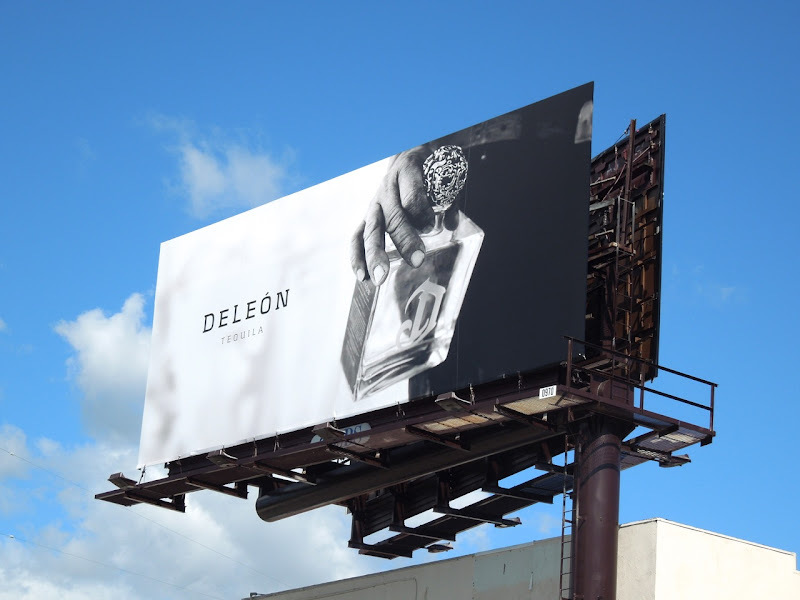 Be sure to check out his dad in action in these billboards for the soccer star's H&M men's underwear line and this giant Breitling watch billboard. 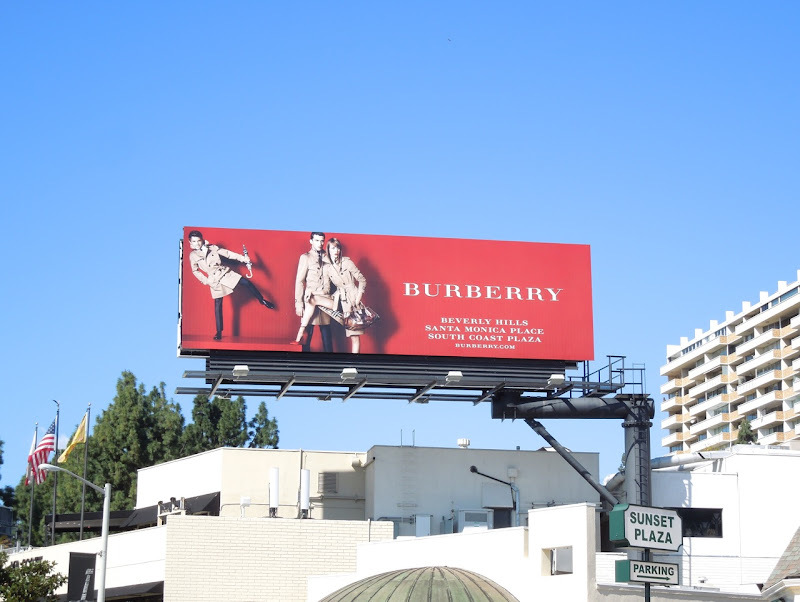 UPDATED: Here's another bold creative in the new Burberry ad campaign featuring the cheeky young Beckham, snapped in the same location along L.A.'s Sunset Strip on February 11, 2013. 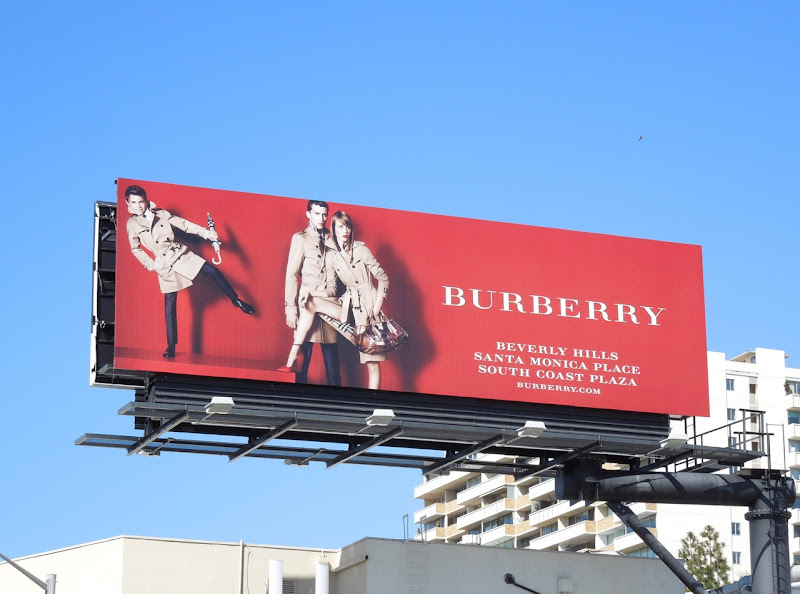 UPDATED: A new month and a striking new creative featuring Romeo Beckham. 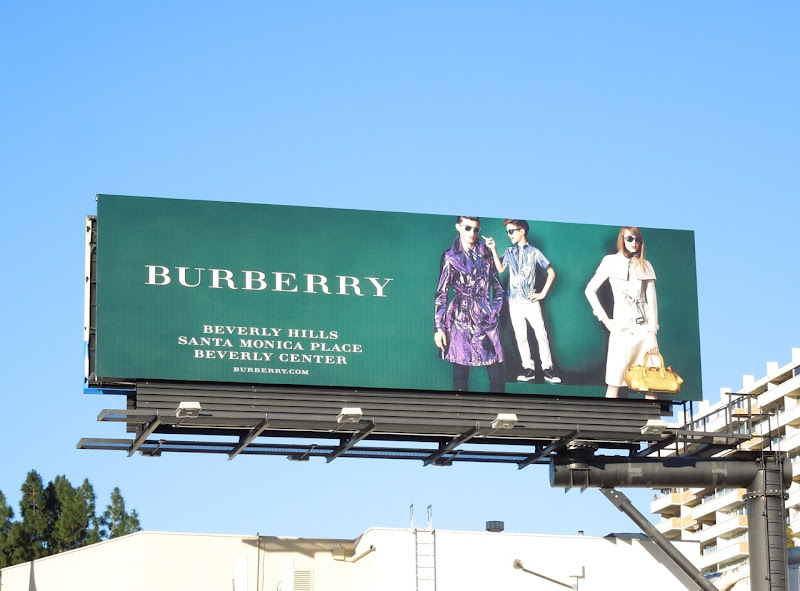 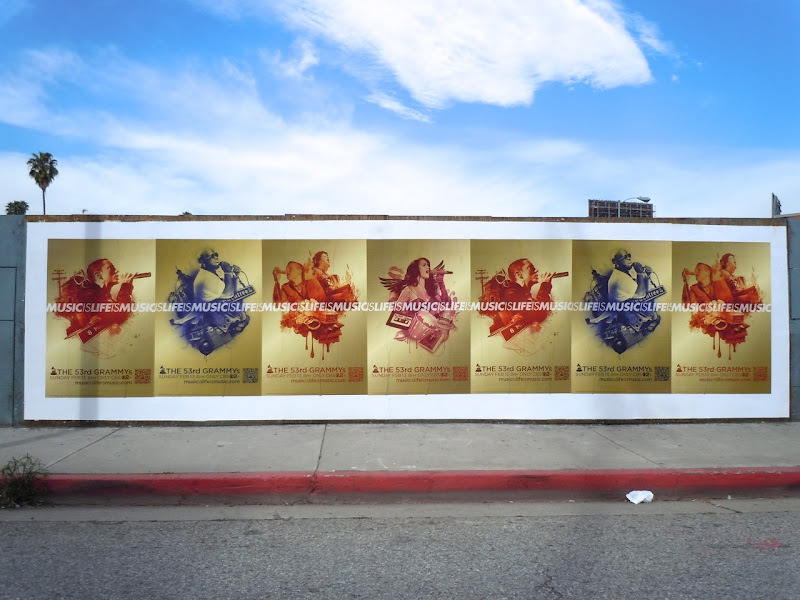 This vibrant red billboard featuring Burberry's signature trench coat was photographed above Sunset Plaza on March 9, 2013. 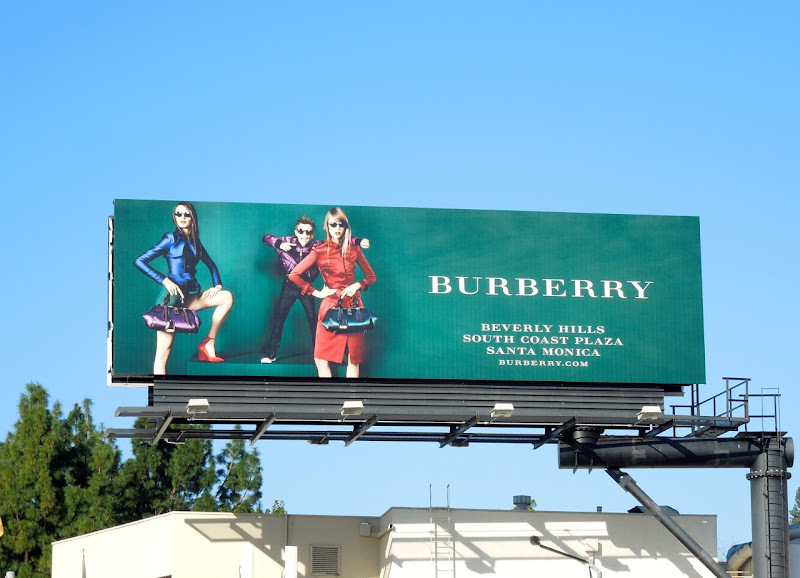 UPDATED: Young Beckham and his model friends are back with a green background for the latest Burberry billboard snapped in the same location on May 9, 2013. 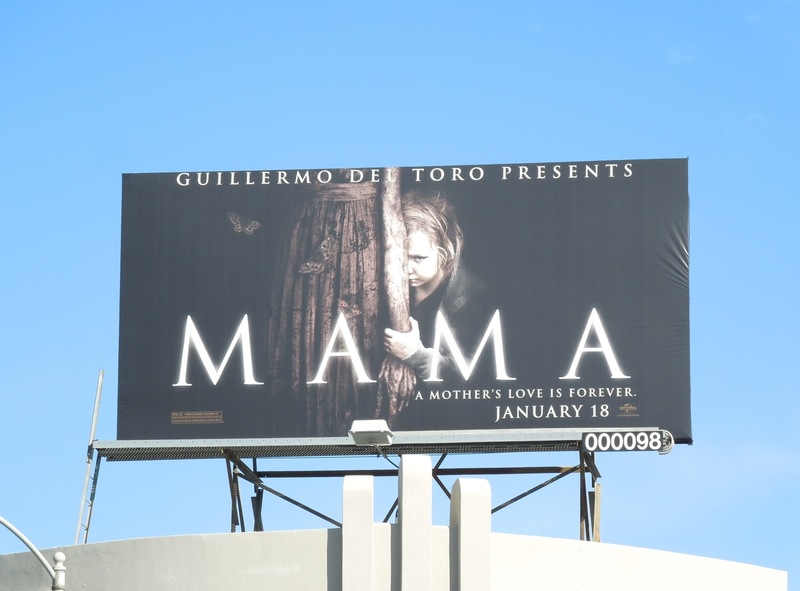 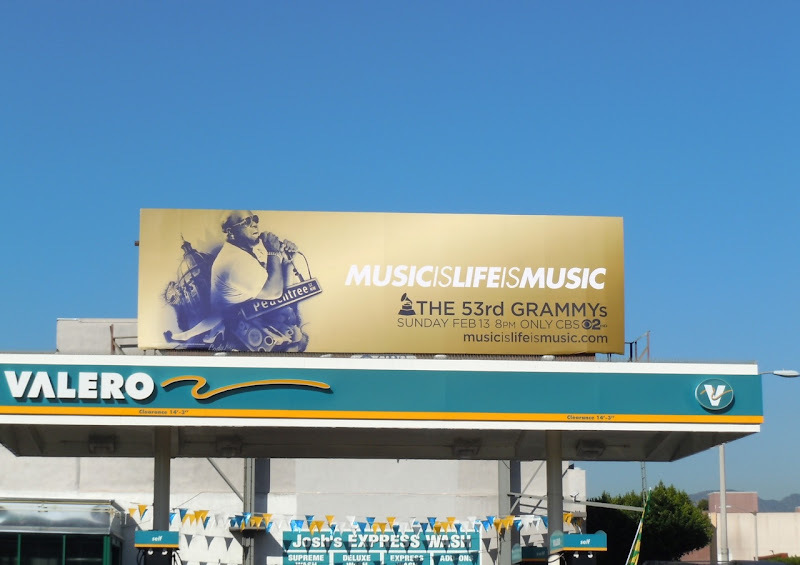 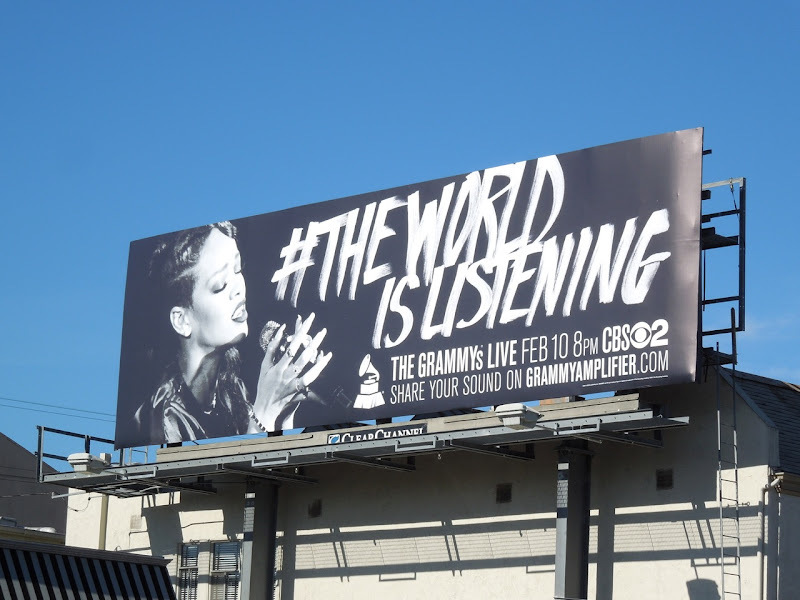 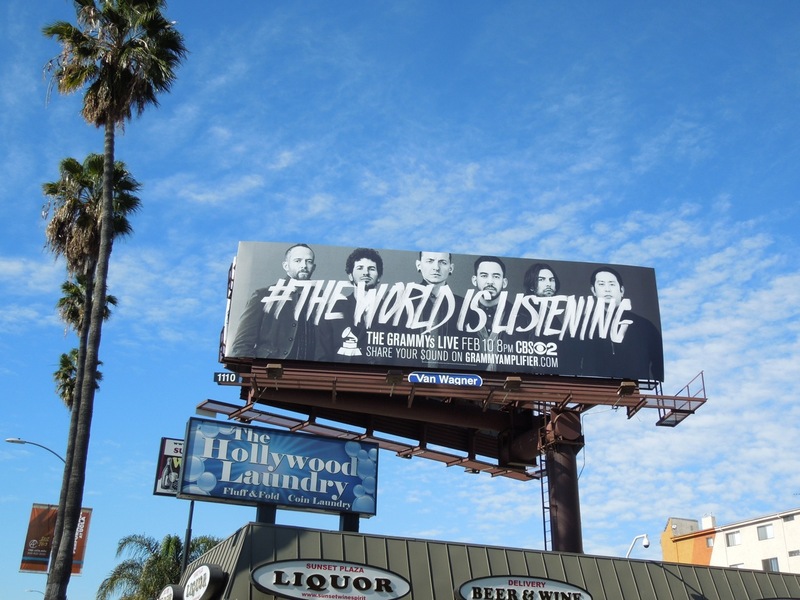 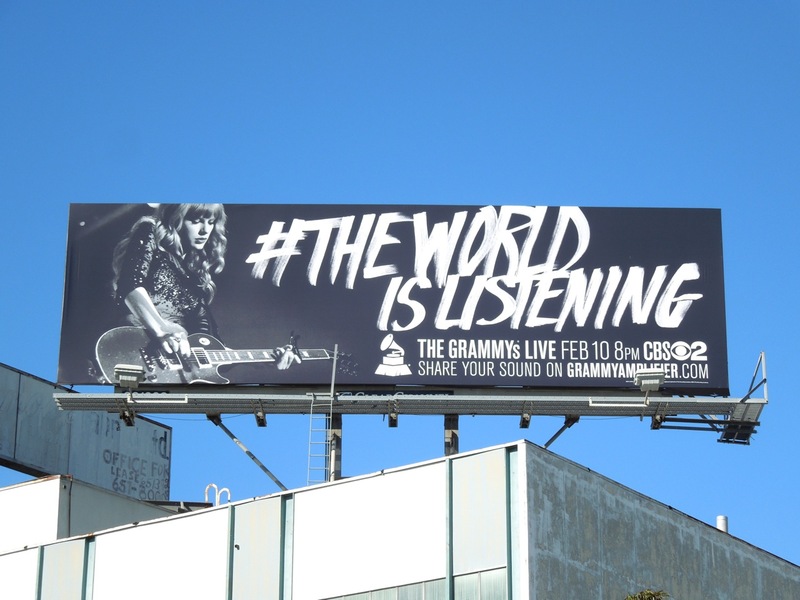 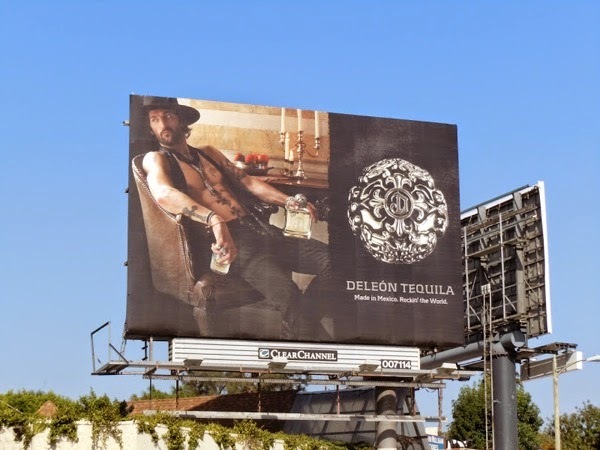 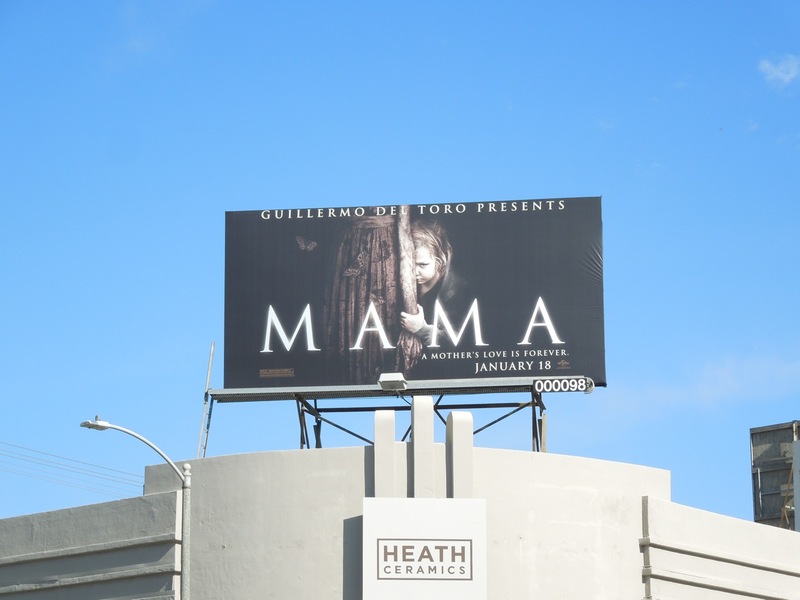 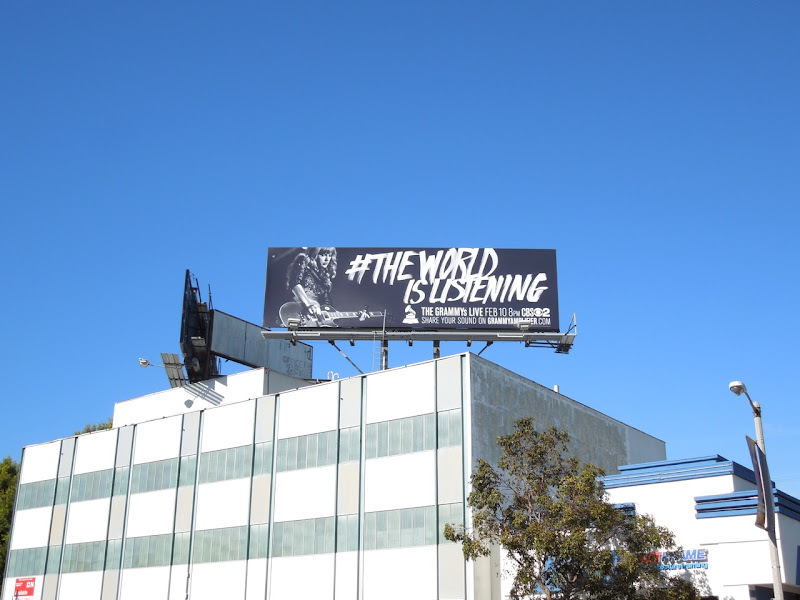 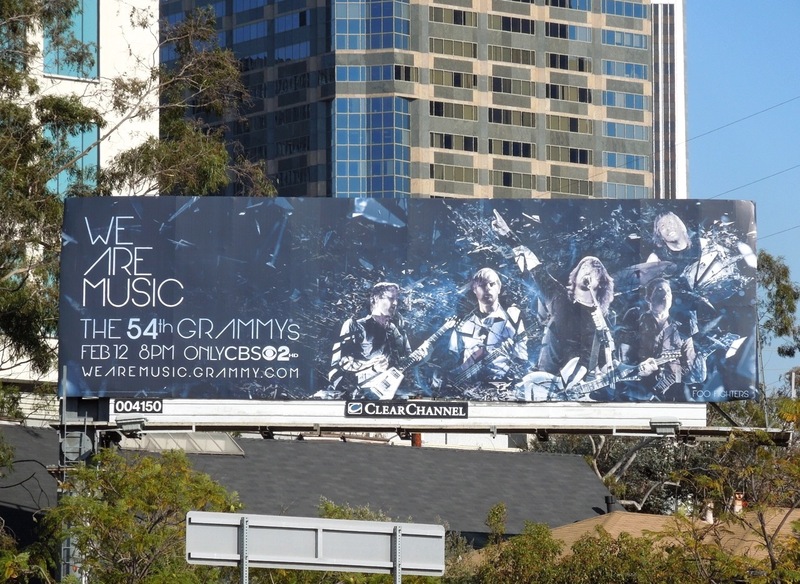 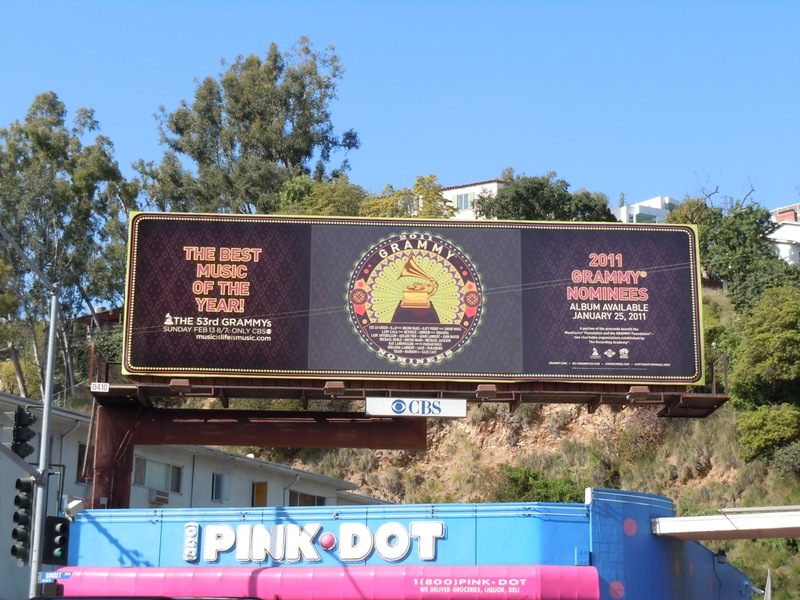 There's nothing like a Golden Globe win to get you your own super-sized billboard along L.A.'s infamous Sunset Strip. 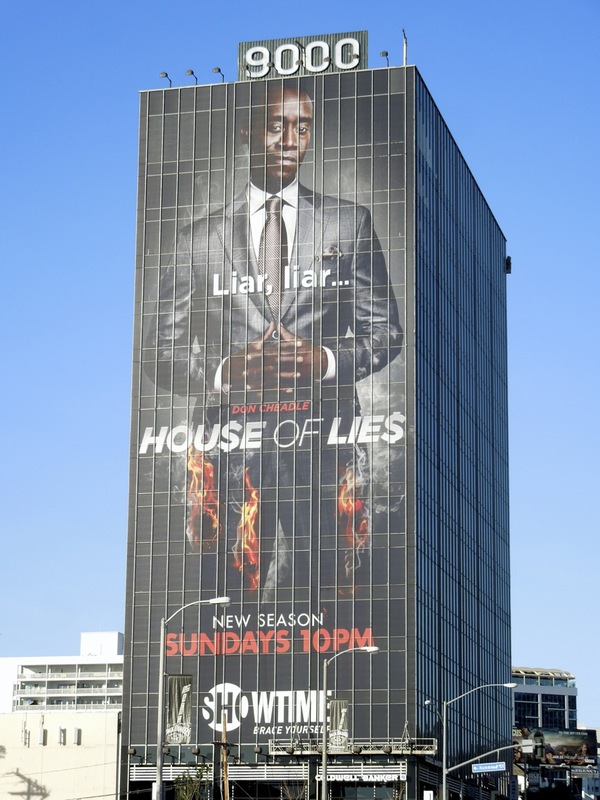 Recently honoured for Best Actor in a Comedy Series, Don Cheadle is back for a second season of lying and dirty tricks with his fellow castmates in Showtime's House of Lies. 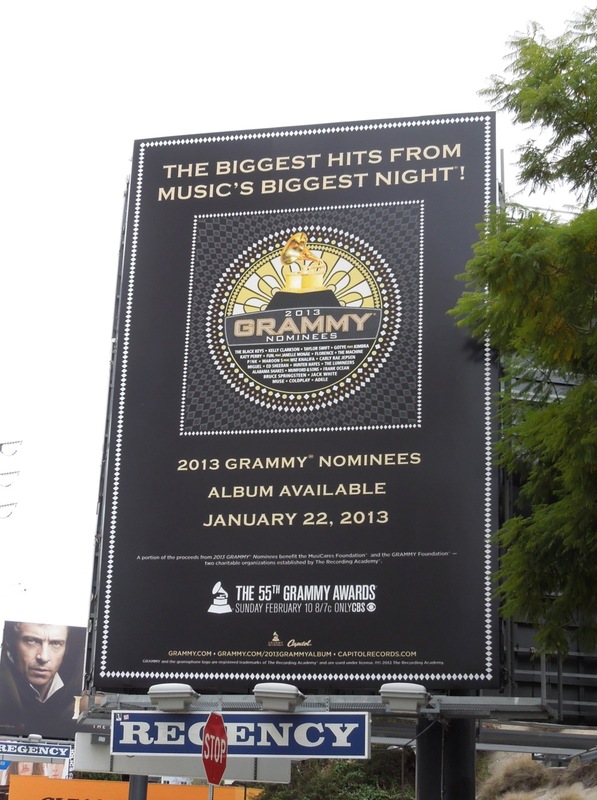 This fun giant-sized 'pants on fire' creative really stands out along The Strip on January 22, 2013. 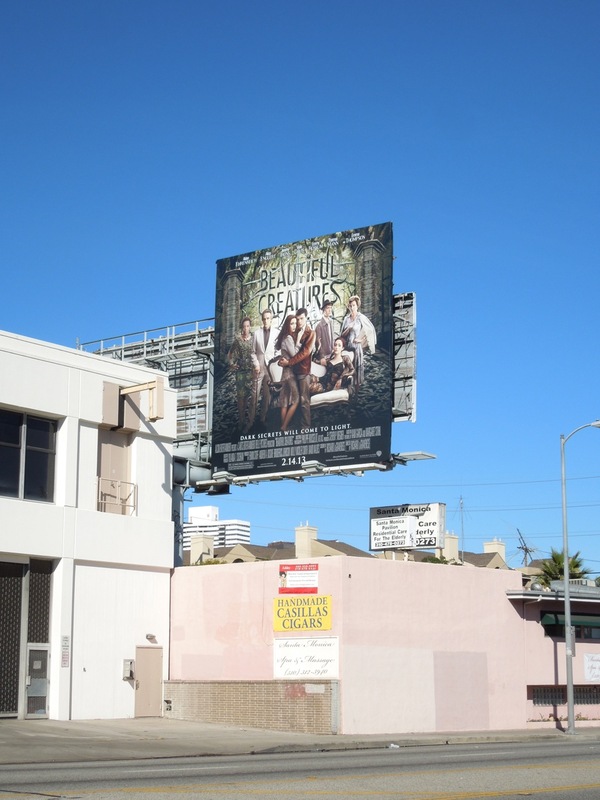 Meanwhile this standard landscape version with the rest of 'Marty Kaan's' management consultant team was spied further east along Sunset Boulevard in Hollywood on January 7, 2013. 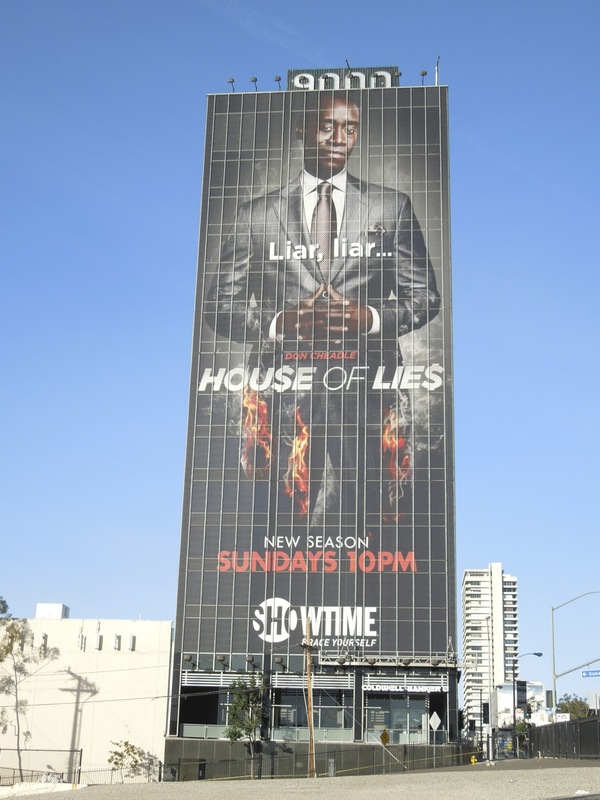 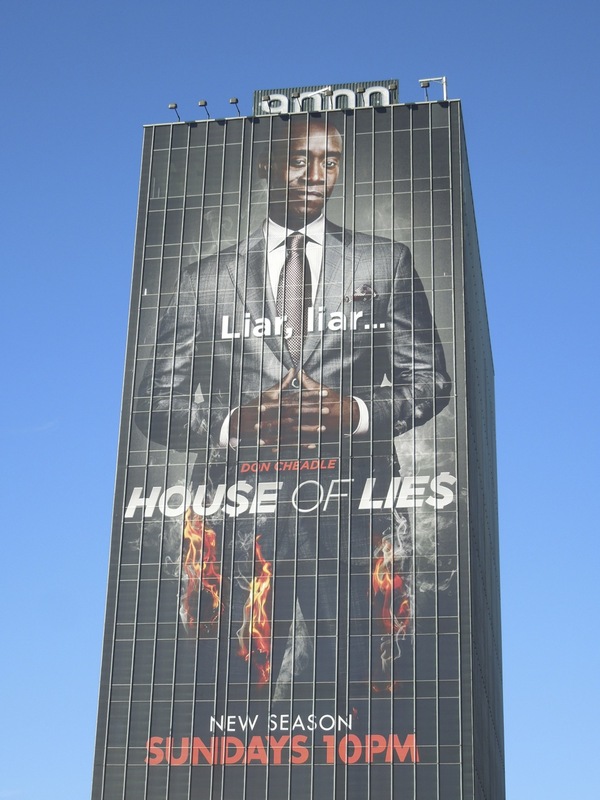 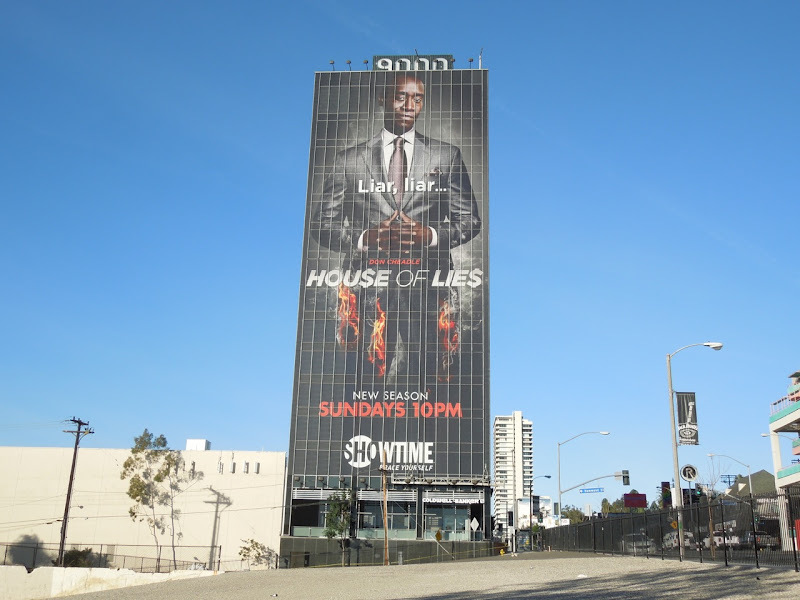 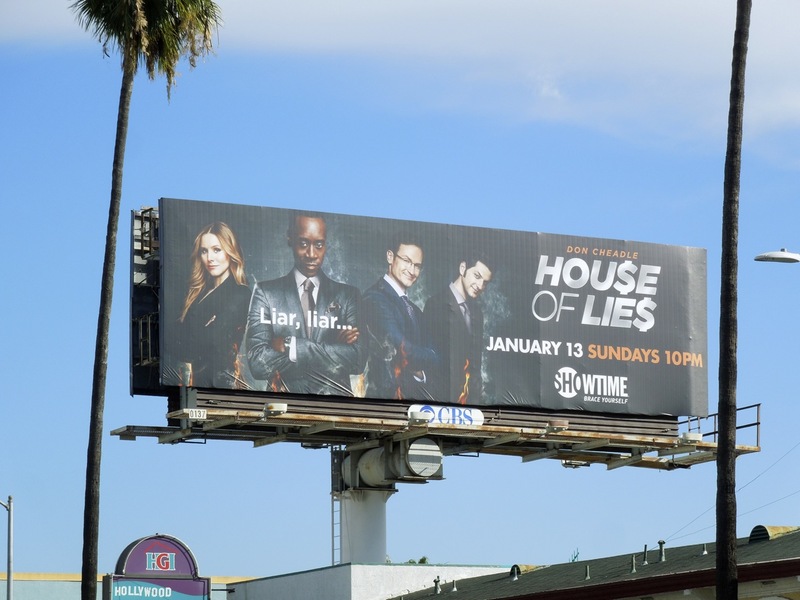 If you're a fan of the show, be sure to also check out House of Lies season one 'Survival of the slickest' billboard. 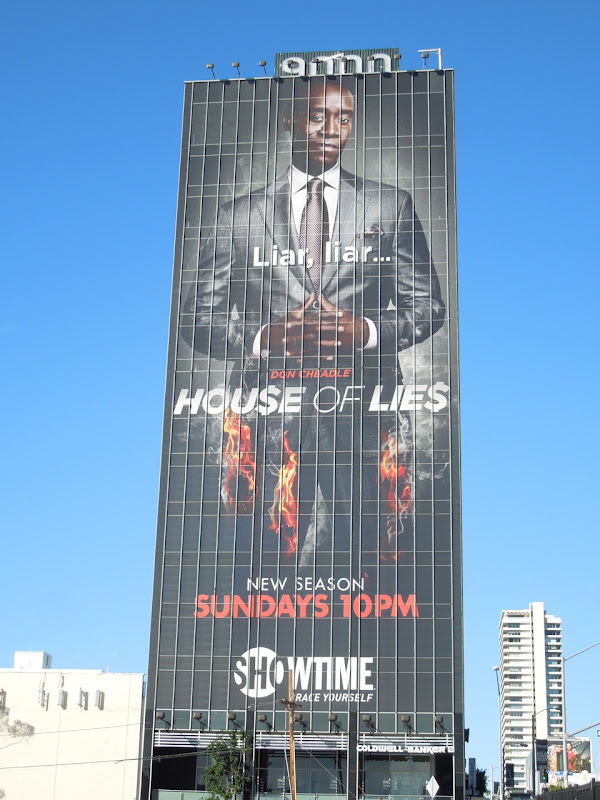 UPDATED: And because it's a pet peeve of Daily Billboard's when they are left there by the installers, here's a few photos of this super-sized creative without the wires and scaffolding cradle at the bottom of the building. 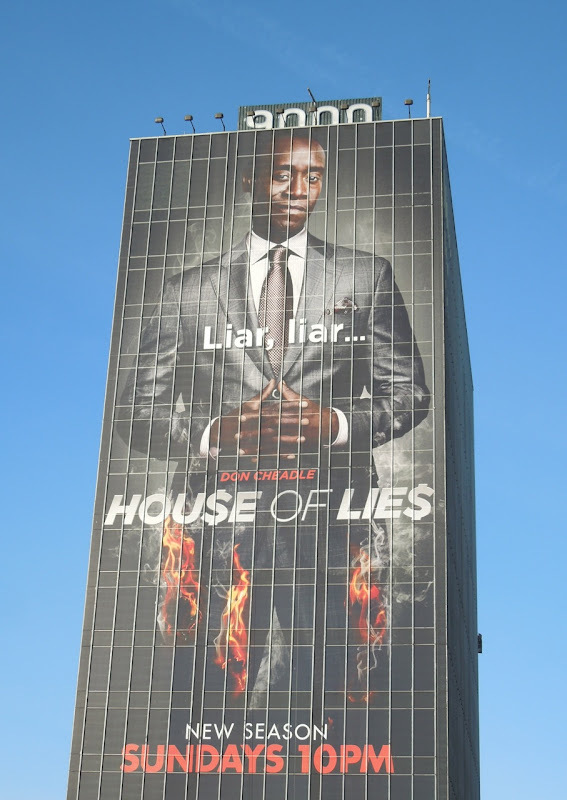 Now that's much better and Don Cheadle looks far more presentable doesn't he. 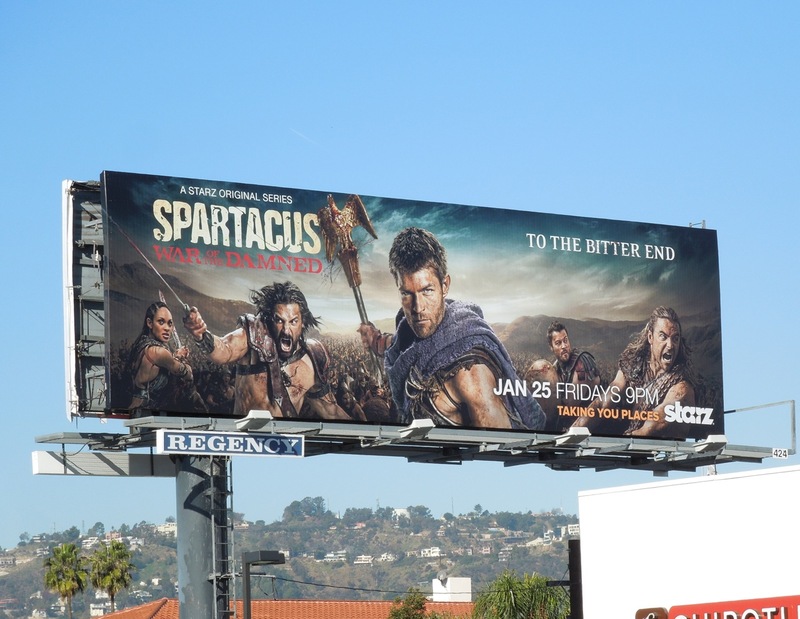 The end is nigh, but Spartacus is fighting on until the bitter end if these billboards are anything to go by. 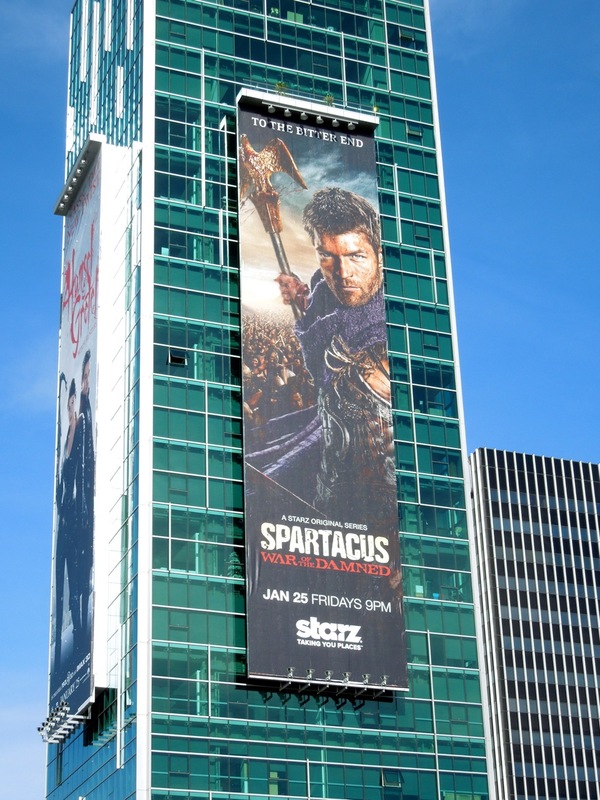 The History Channel may be debuting their Vikings this March, but Starz saga about the famous slave uprising set during Roman times is coming to a close with Spartacus: War of the Damned. 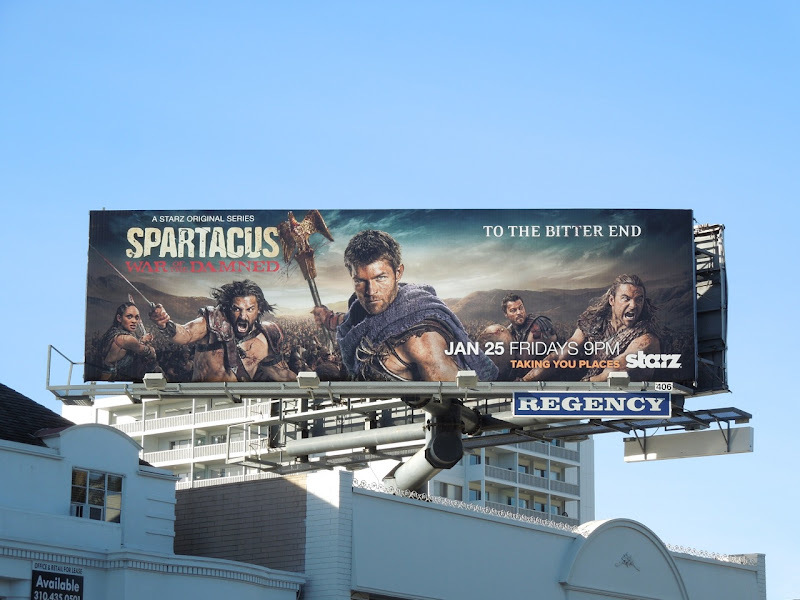 Liam McIntyre returns for another bloody season as the titular Thracian warrior and former gladiator in the House of Batiatus, leading the slave rebellion alongside his generals in their war with Rome. 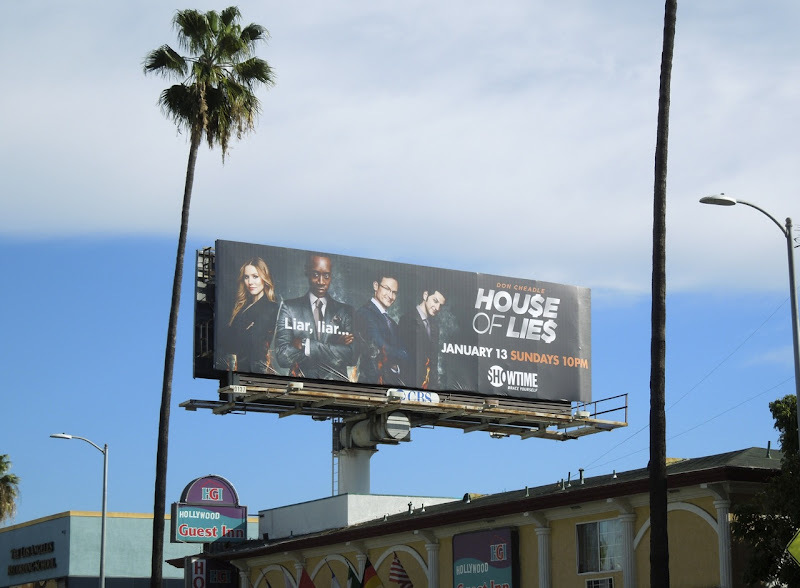 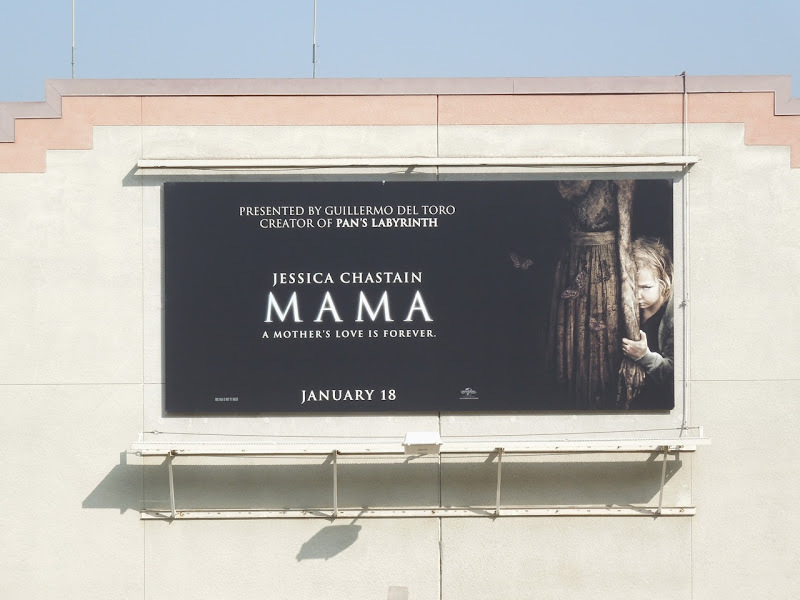 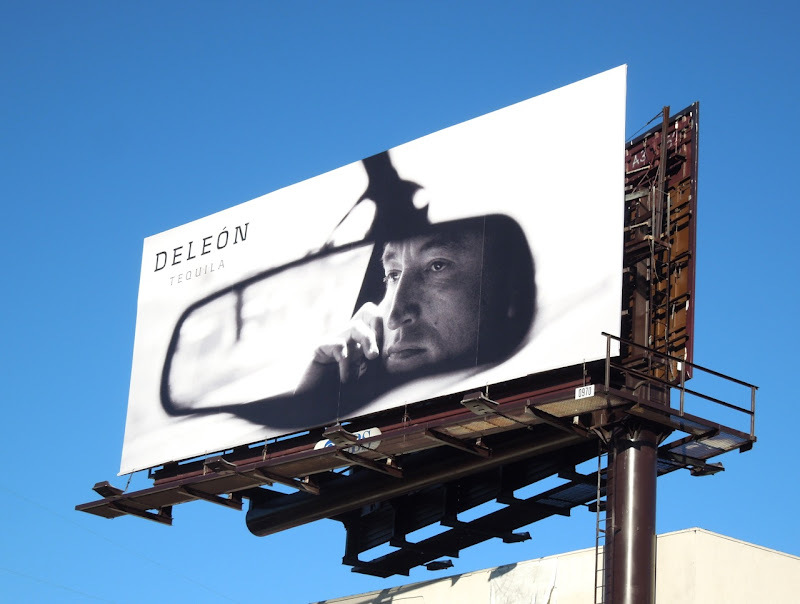 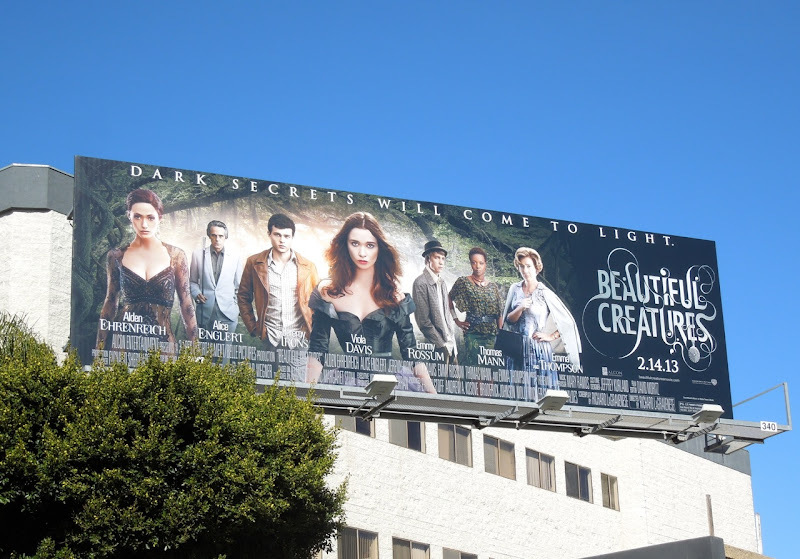 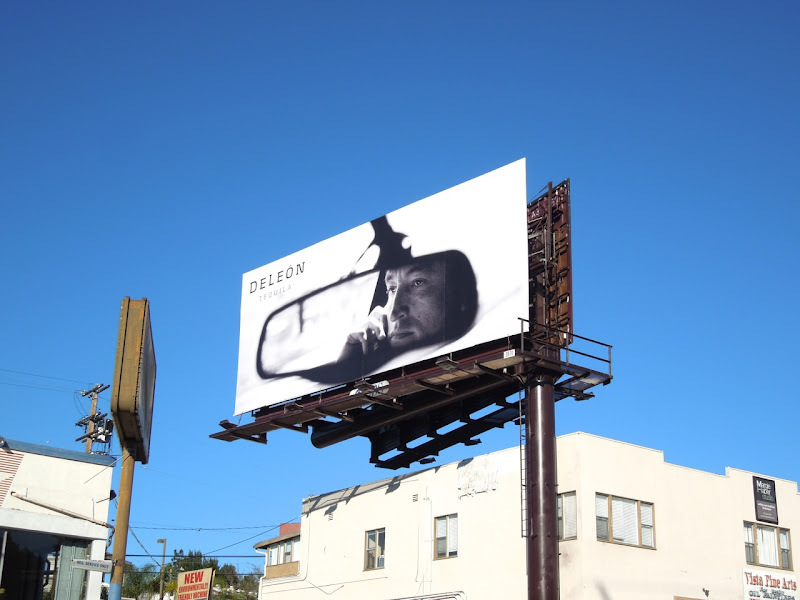 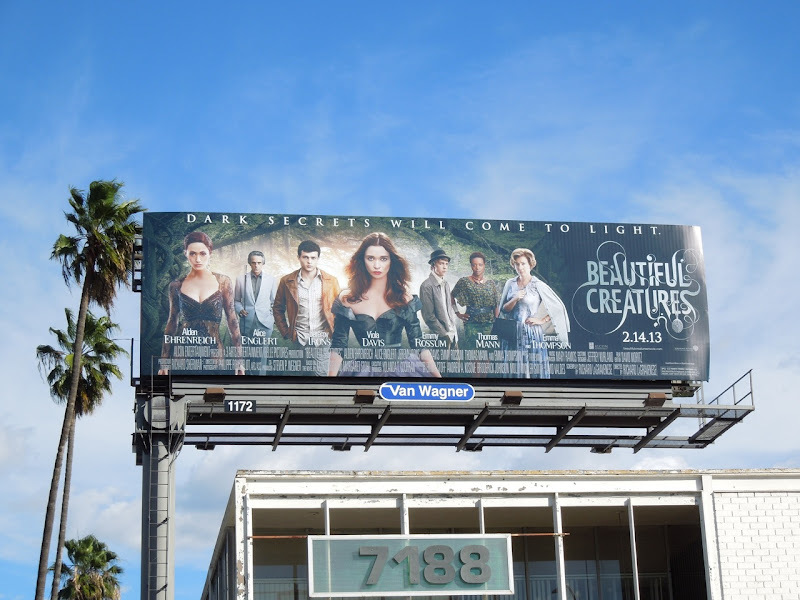 These fantastic billboards capture the spirit of the TV series perfectly and were spotted around the streets of L.A. from January 14 to January 22, 2013. 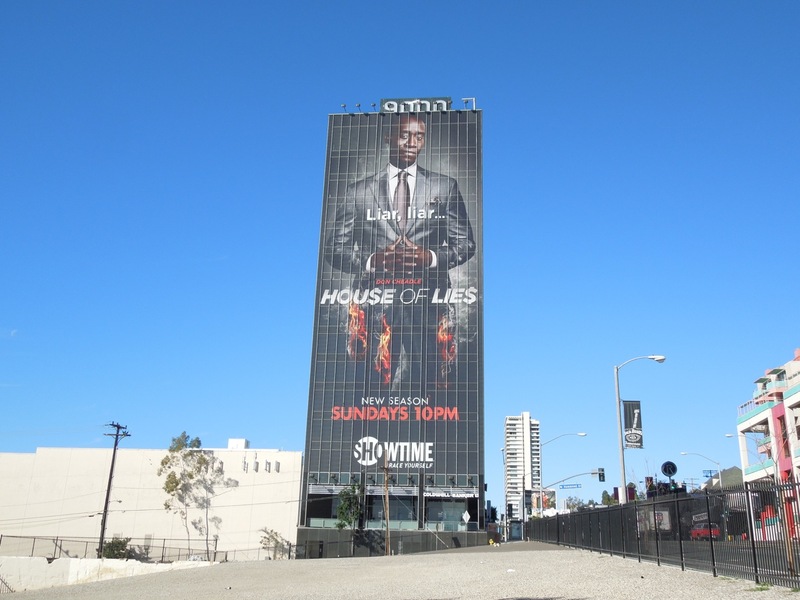 The super-sized versions were spotted towering over Sunset & Vine in Hollywood, plus on the side of the Sofitel Hotel along Beverly Boulevard. 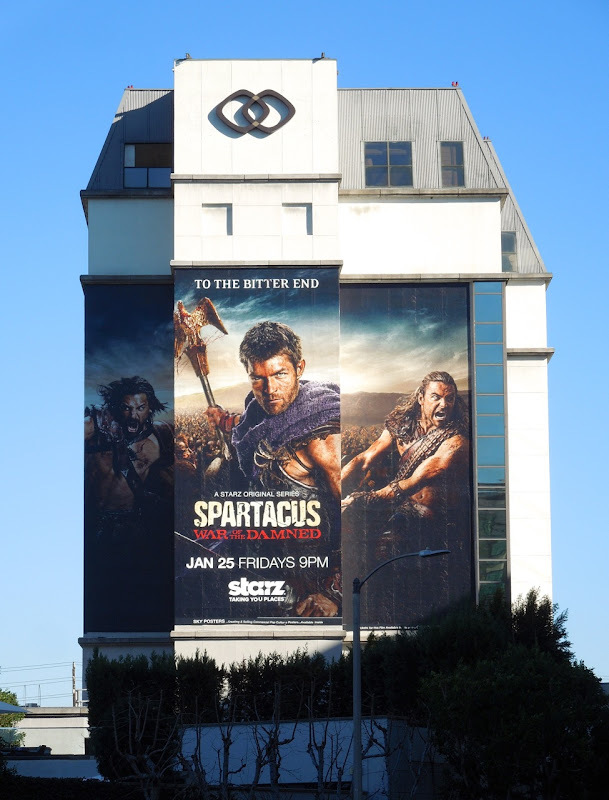 If you like these ads, be sure to check out the billboards for all the previous seasons of Spartacus. 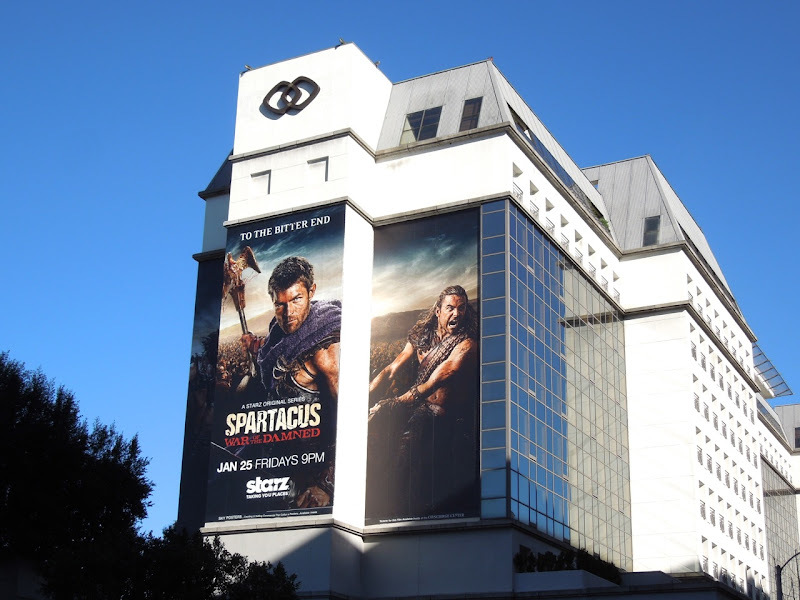 Plus if you're a fan of the epic 1960 movie version, be sure to check out these original film costumes and props from Stanley Kubrick's Spartacus on display. 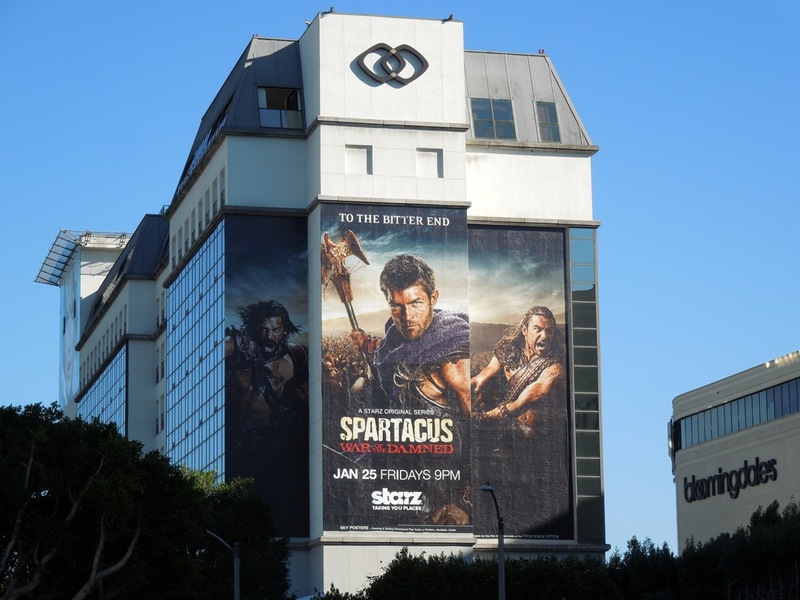 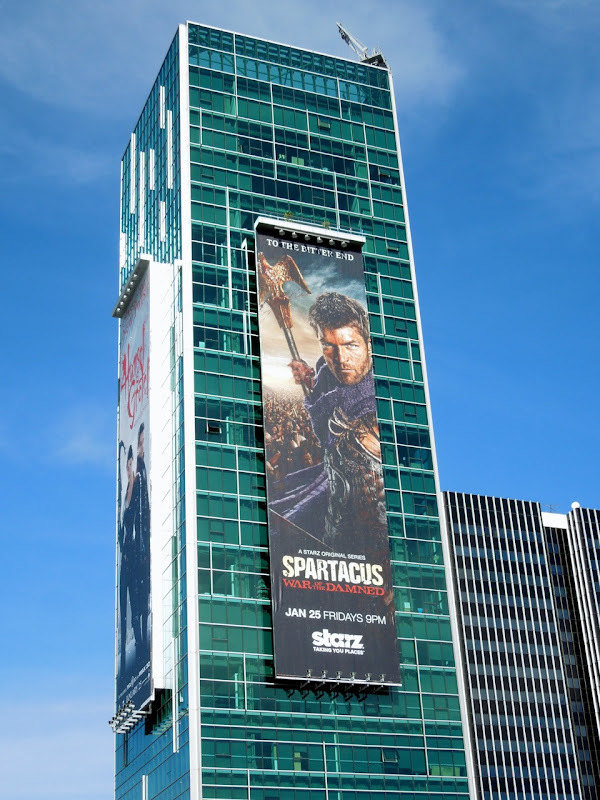 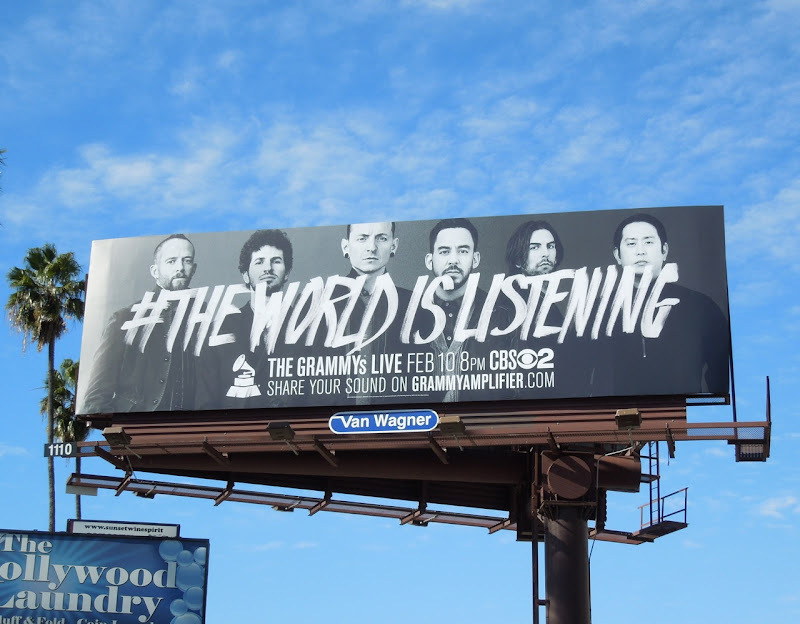 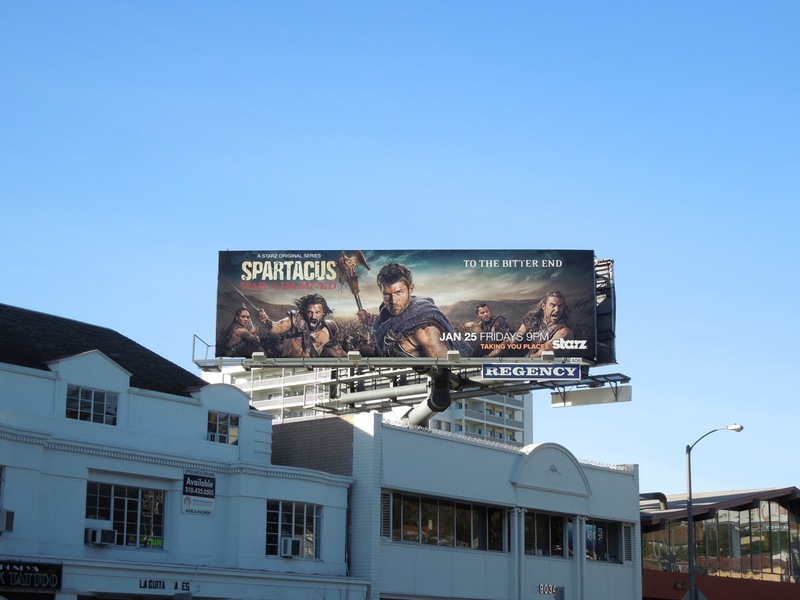 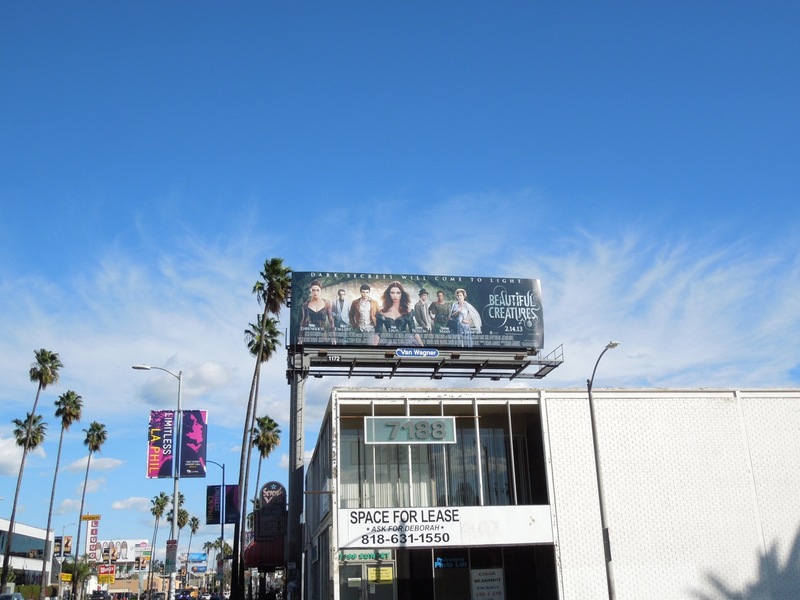 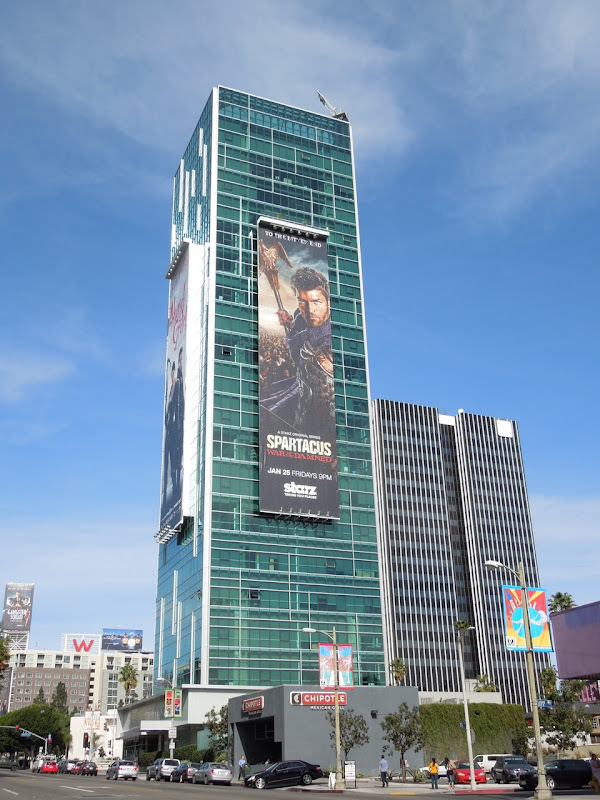 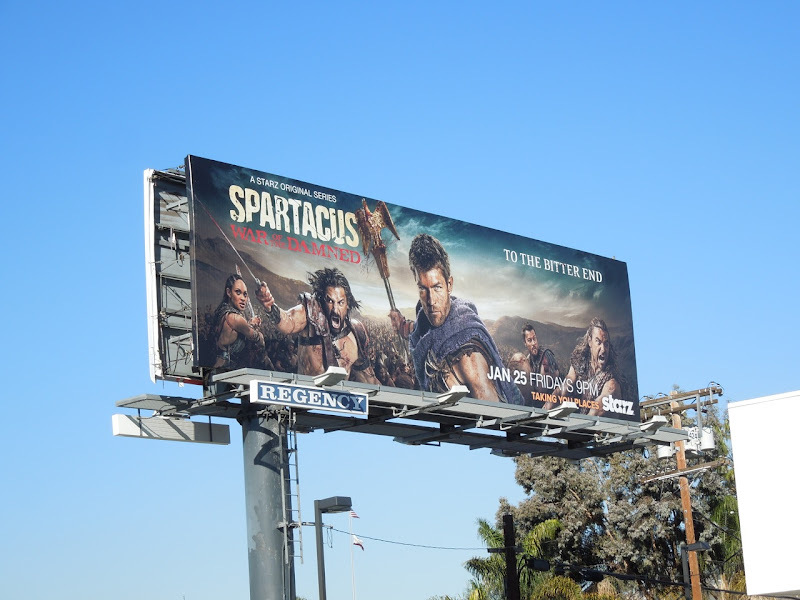 Let the final battle commence (although Daily Billboard for one will miss seeing these Spartacus billboards filling the skies of L.A.).